As you can see it has the Iconic Saturn Sky logo embroidered in Yellow. 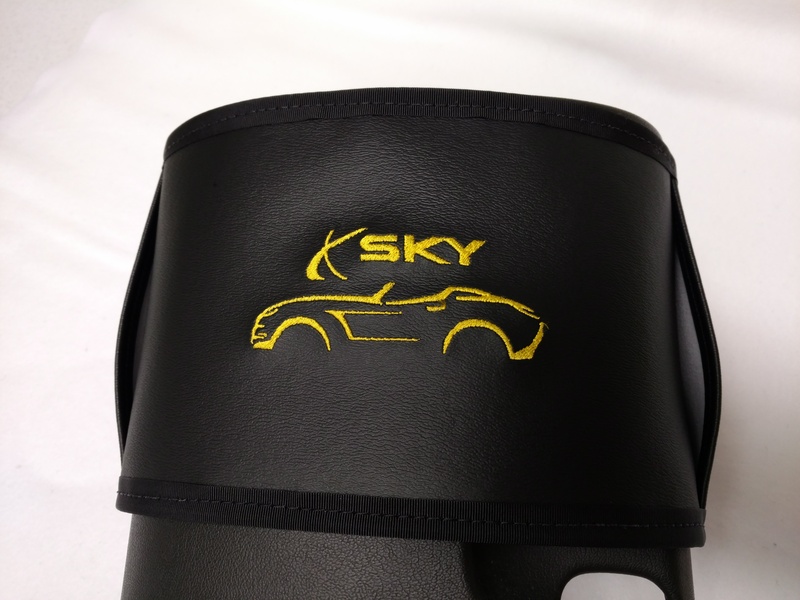 If you own a Saturn Sky you need this bag! Features two pockets that are about 4″ deep. Keeps your cell phone, wallet, checkbook, pen whatever you need at your finger tips handy! There is no glue, no drilling, no screwing, no messing about. On the back of the bag, there are clips sewn on that hold the bags in place. Super easy to install and remove, just slide the clips under the console one side at a time, and you are done- Removes just as easy!